When people think of the Walt Disney World Resort, the Magic Kingdom is one of the first things that comes to mind. With different lands to explore, characters to meet, and food to eat, getting it all done in one day is almost impossible. 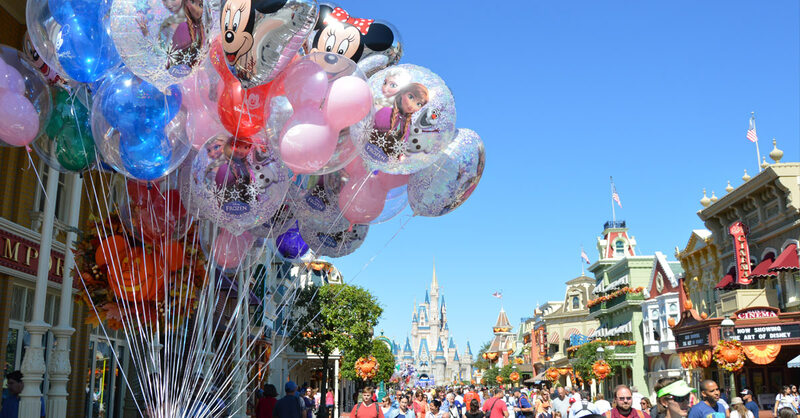 But by doing these 20 things, you’ll have properly experienced the Magic Kingdom. Arrive at least 15 minutes before the park opens and watch as the Mayor of Main Street greets you along with several of your favorite Disney characters during a short show. Once the rope drops, you’ll have little to no wait time on attractions until the park gets busier. You can’t visit Magic Kingdom and not get a picture in front of Cinderella’s Castle. There are even Cast Members along Main Street who will take your picture for you with their Photopass camera and yours as well. The train ride around the Magic Kingdom is an essential. With stops at Main Street, Frontierland and New Fantasyland, you can use the Walt Disney World Railroad to get from one area of the park to another or stay on board for the complete 20-minute round trip experience. Here are 7 Things We Love About The Walt Disney World Railroad. On the right side of Main Street right when you walk in, there’s a store called The Chapeau. If you’re looking for your own set of Mickey ears, here’s the place. Guests can also get their name embroidered on the back of their hat. While on Main Street, stop in at the Bakery and sample the many amazing Disney themed creations. These range from candy apples to cupcakes to cookies and more. You can even watch them decorate their treats right in front of you. Street performers can be found all over Magic Kingdom and are worth stopping for a few minutes. Most of the “lands” have their own performers from The Dapper Dans to Jack Sparrow’s Pirate Tutorial to the Main Street Philharmonic. Some ask for audience participation and will get you dancing along, like the square dancers in Frontierland. Check the park schedule for times. Playing several times a day, weather permitting, a show will take place in front of Cinderella Castle as Mickey, Minnie, Goofy and Donald share their dreams. When the Disney villains try to take over their dreams with nightmares, the team must find a way to get their dreams back, with some help for the audience. Show times are posted by the stage. Yes, you’ll get the song stuck in your head, but it’s a classic that Walt Disney worked on himself for the New York World’s Fair. It’s a requirement. Probably the most popular attraction in Fantasyland, Peter Pan’s Flight takes you off the track and lets you fly through London and Neverland in this classic dark ride. With the new interactive queue there are more reasons to see this attraction, but if you prefer not to wait on line, get a FastPass+. Here are 7 Impressive Facts About Peter Pan’s Flight. Another attraction created for the World’s Fair is the Carousel of Progress, located in Tomorrowland. Here the auditorium moves around the stage as the narrator shares what life was like in the 20th Century. Use your laser blaster to help Buzz defeat Emperor Zurg by hitting as many of the “Z” targets as you can. If you can get the highest score possible of 999,999, you become a Galactic Hero and can ask for a specially made button from the Cast Member in the attraction’s gift shop. Thrill seekers big and small should experience the triumvirate of Space Mountain, Splash Mountain and Big Thunder Mountain. You can also include Seven Dwarfs Mine Train as it’s another Magic Kingdom thrill ride, even if it isn’t a mountain. This attraction inspired a new franchise of movies which then inspired some new additions to the attraction. Guests can find Jack Sparrow throughout the ride along with Barbosa, Black Beard and mermaids. If you can manage a reservation, dining in a Disney castle is magical experience. With your choice of Cinderella’s Royal Table or Be Our Guest Restaurant, you can have a meal fit for a prince or princess. Around 5pm, Cast Members retire the American flag at the beginning of Main Street. Take a moment to watch the short ceremony as the flag is folded and given to an active or retired military guest visiting the park that day. A trip to the Magic Kingdom wouldn’t be complete without meeting a character or two. Each land has assigned locations where particular characters can greet guests. There is a time schedule available each day to tell you where and when. Both the Festival of Fantasy parade and Main Street Electrical parade must be seen. Moving through Main Street and Fontierland, guests should find a spot about 30 minutes before each parade starts. Mickey Mouse, found next to Tony’s Restaurant on Main Street, can now talk to guests. Either visit him when the park opens or get a Fastpass as he tends to be pretty popular throughout the day. The famous Dole Whip can be found in Adventureland and has a strong following of loyal fans. Available in orange and vanilla, most guests opt for the traditional pineapple soft serve ice cream or the ice cream float. You can’t leave without having one. The Wishes Fireworks Spectacular is the perfect way to cap of your day at the Magic Kingdom. With special viewing areas for Fastpass holders, it’s now even easier to find a good spot to view the grand finale to your day. No matter how you spend your time at the Magic Kingdom, it’s sure to be a magical experience you and your family won’t soon forget. Preparing For Your Walt Disney Cruise – 10 Helpful Tips! What Are You NOT Allowed To Wear At A Disney Theme Park?